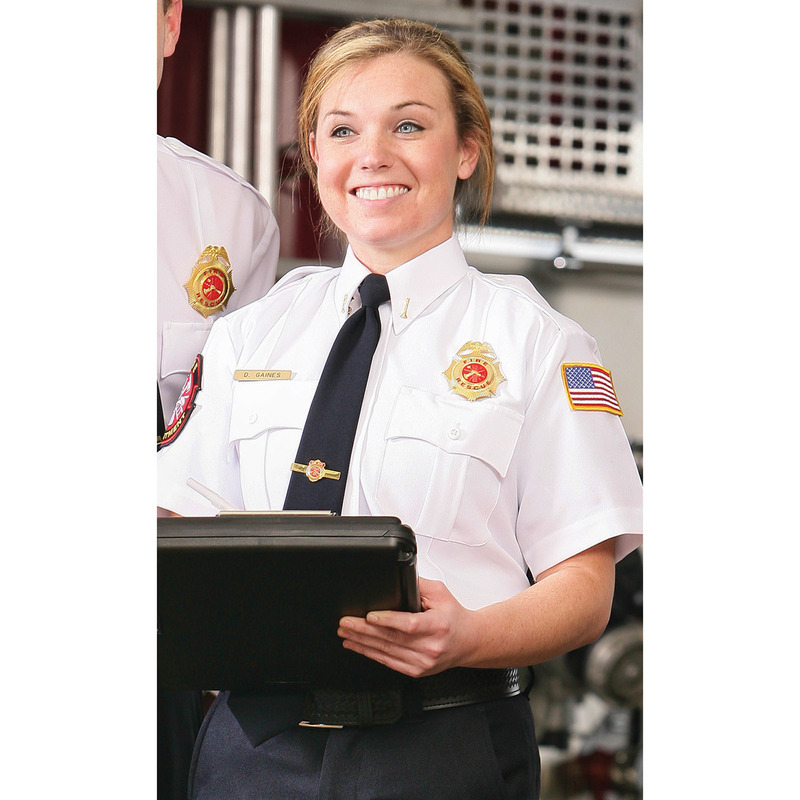 A creaseless top with high professional appeal, the DutyPro Short Sleeve Poly Cotton Traditional Style Shirt is a must-have for any lady officer’s uniform. With two pockets with secure, mitered flaps, you’ll have all the space you need to store your smaller on-the-job gadgets, such as notepads, pens, small flashlights and much more. The pockets also feature reinforced badge tabs, which allow officers to display their credentials without the shirt sagging or pulling in an uncomfortable or unsightly manner. The polyester materials are tightly-woven to promote better wicking abilities, keeping you dry and comfortable regardless of what sort of conditions you happen to be working in. Whether you’re looking for a good, comfortable shirt that’ll keep you feeling good while you’re on duty or you prefer something that’ll make you look as professional as possible, this shirt is sure to be a perfect addition to your everyday uniform. Order yours today to give your uniform the boost it needs to achieve optimal performance.